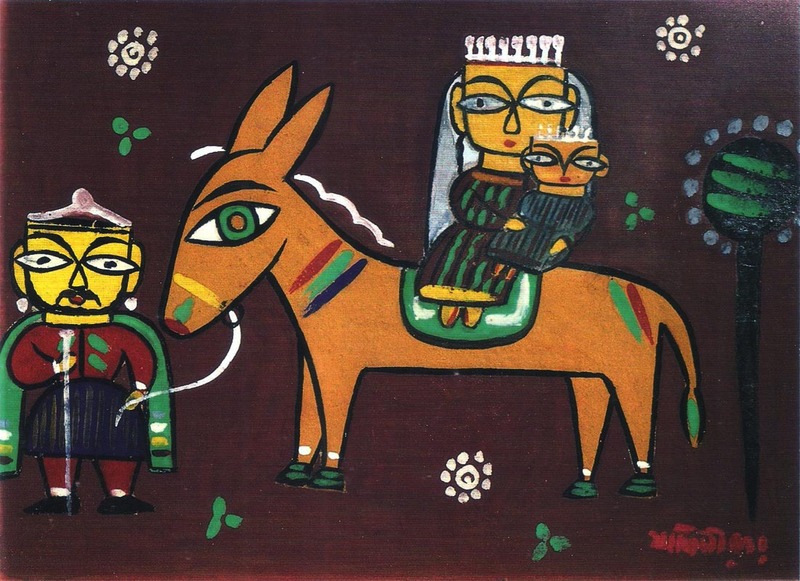 Can you tell the difference between Sawai Chinnawong’s Nativity painting and Nyoman Darsane’s Christ? 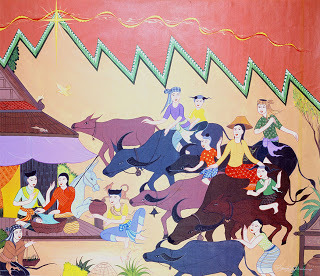 Although both are nonwestern, Asian Christian paintings, a western Christian could look at Chinnawong’s painting and easily tell what story it is depicting for all its Thai elements, whereas he wouldn’t really make much sense of Darsene’s work. 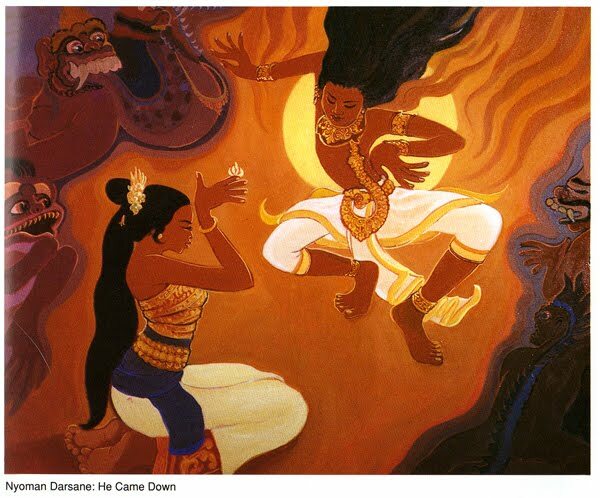 Conversely, a Thai Buddhist might not grasp the meaning of Sawai Chinnawong’s painting, whereas the concepts/images in Darsane’s work would be familiar and easily recognizable to a Balinese. 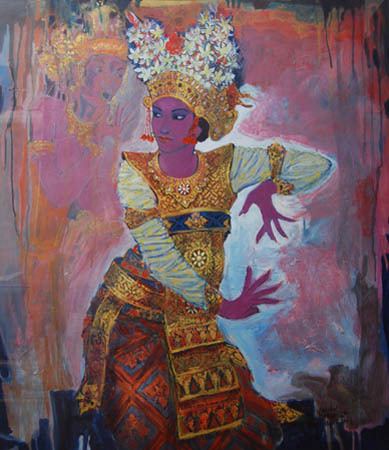 Let us now have a closer look at Maria and Martha paintings by Darsane and Sawai Chinnawong respectively. 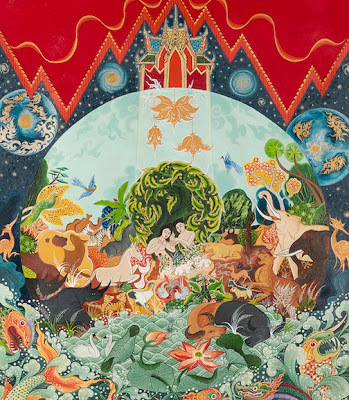 Also, at the Ten Virgins parable paintings by Darsane and Sawai Chinnawong respectively. This brings up an interesting point about the contextualization of visual art. Which model of the two should be followed in indigenous Christian visual art? And what about indigenous iconography in particular? What type of icons should be used for church worship? Abubakar, a self-taught artist, he often used Christian themes as the only ones adequate to express his understanding of human suffering. I personally find this last point fascinating, because Sawai Chinnawong, the Thai Christian artist discussed above, once stated that “an artist in Burma taught me that I needed to include images that are uncommon in Thai art. 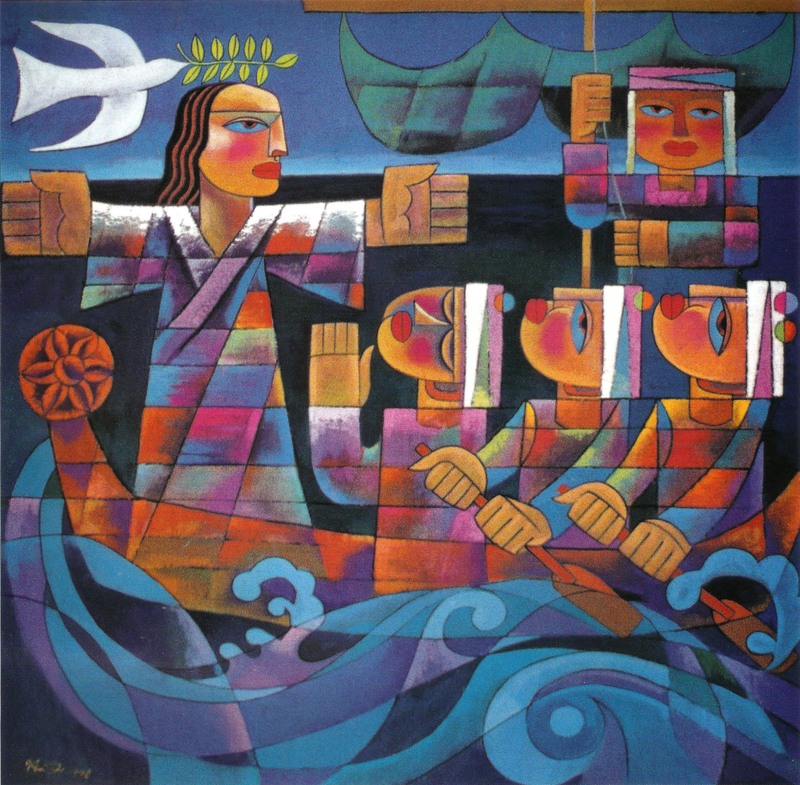 Buddha is never seen suffering in our iconography, but as a Christian I have to depict the suffering of Christ, which is the hardest spiritual concept for us to understand or except”. This entry was posted in Painting, Drawing and Gravures and tagged Abubakar, art models, asia, Asian Art, Asian Christian painting, Asian painting, Bali, balinese, CHINA, Chinese Art, Chinese Christian painting, Christian, He Qi, Hindu, Indian Art, Indian Christian Painting, indigenous Christian, INDONESIA, Jamini Roy, Moslem, nyoman darsane, Painting, Drawing and Gravures, Sawai Chinnawong, Suffering, Thai Buddhist, Thailand, the dynamic Inculturation Model, the Kernel and Husk model, the Onion Model, the static Accommodation Model, visual art, visual contextualization.